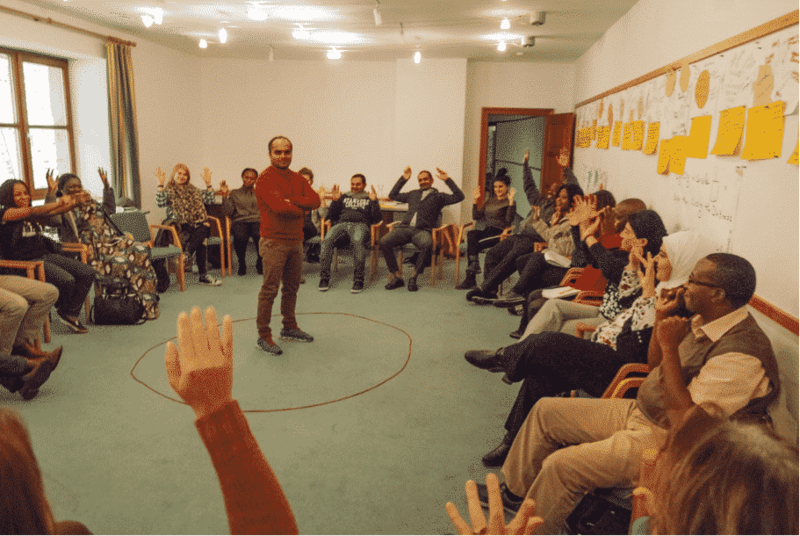 Henk, Han, Ludo and Marjolein facilitated a course on Governance and Peacebuilding in November 2018 at the famous peace castle of the Austrian Study Centre for Peace and Conflict Resolution (ASPR) in Austria. During two weeks, experts working in a multitude of fragile states met each other, coming from Yemen, Lebanon, Egypt, Palestine territories, Brazil, Pakistan, Nepal, Myanmar, Central African Republic, Nigeria, Ghana, Cameroon, Botswana, Uganda, Tanzania, Zanzibar, and Burundi. Together, we studied the complexities and challenges they are facing and the different approaches that can be tried in these settings ‘’to sail’’ towards more stability, or to improve grip on actors and factors that determine life and future. An amazing group of heroes, who maintain their humanity amidst atrocities. From 18 March to 29 March 2019, Han and Henk will facilitate a masterclass at ASPR titled Dialogue Methods for Peace.